TODAY ONLY!! 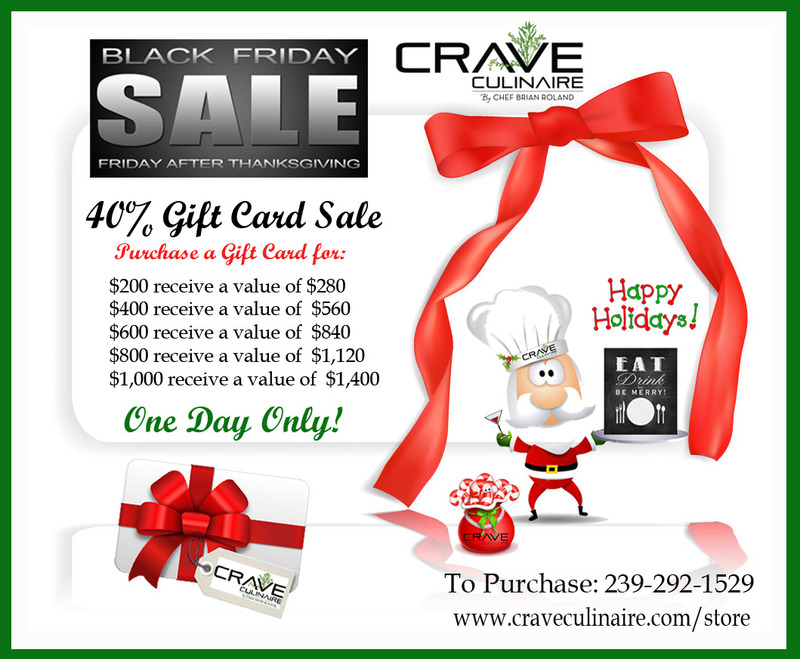 40% Gift Card Sale on Black Friday! Gift the gift they will CRAVE! Place Your Orders Now! Taking Orders Until Tuesday November 25th at 2pm. 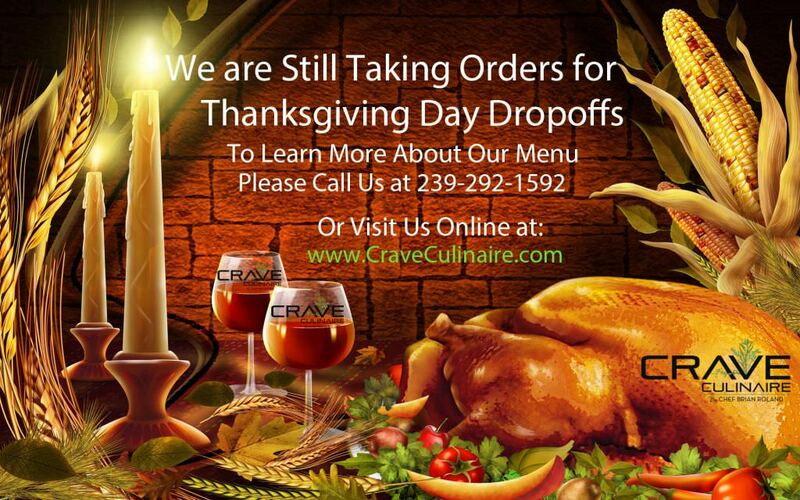 Call us at 239-292-1529 or Email Us at info@2019.craveculinaire.com to check out our menu and discuss more details….